I’m back again gamers and geeks and today I am taking a look at the Kotion Each G4000 Pro Gaming Headset. Right off the bat I must say I am hugely impressed and this might be the best US$24 I have spent in months.Its durable, its cushioned, its well designed, but all of that would be insignificant if the sound quality and mic; which is the main reason to get a headset, sucked. I am happy to report, that this gaming headset ranks highly as it relates to sound and mic quality, which is why the price seems so unbelievable, as I’ve used headsets that cost twice as much that weren’t as good. The mic is so good I’m actually thinking of using it for podcasting, as it does a better job of ignoring ambient sounds than my Audio Technica A2020 Condenser studio microphone. The headset lights up when plugged into a USB port, which is a nice feature to have along with a very durable cord. The downside is its predominantly made out of plastic but is cushioned in the right places making it comfortable to wear during marathon gaming sessions. 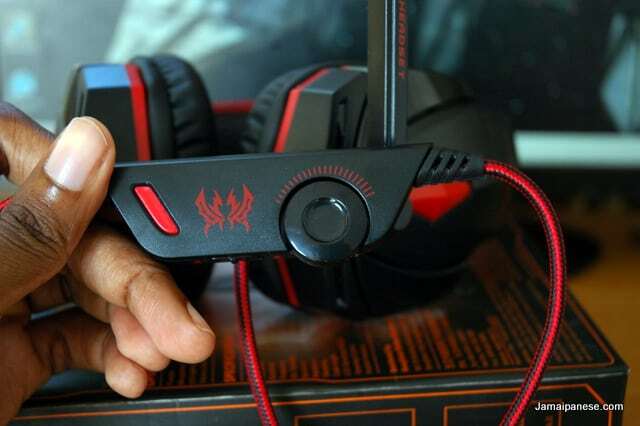 There are a few colour variations of this headset but I went with red and black. The other options are pink-gray-white and blue-gray-white, neither of which look as good as this one in my humble opinion. Looking for an affordable gaming headset? Look no farther than the Kotion Each G4000. 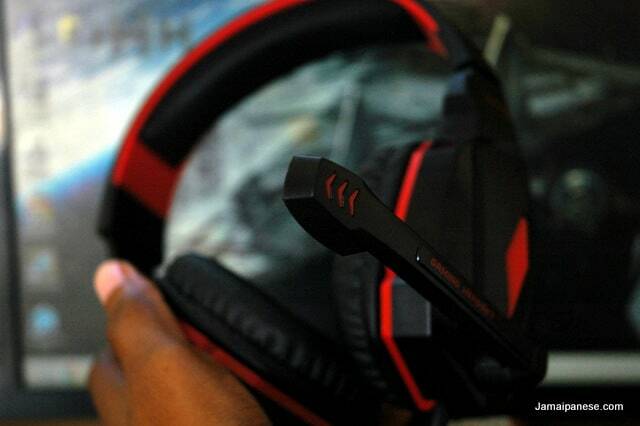 Tweet me @Jamaipanese and tell me the headset you are currently using or thinking of snagging. Happy Gaming!